Patrick Murphy has worked in the airline industry for over 40 years. 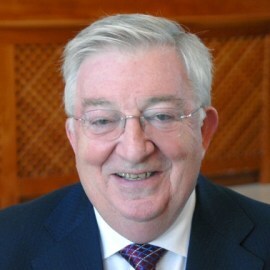 He has been a senior executive of marketing, strategic planning and corporate development with Aer Lingus; he was the Chairman of Ryanair when it started as a low cost airline; he was Director of Corporate Development at IATA for a number of years; and he has been consultant and advisor to a number of airlines starting up low cost operations around the world for the past ten years. – How to achieve low cost operations without compromising safety or reducing individual employee pay. – Reforming pricing policy and generating ancillary revenues. – Explaining why low cost long-haul operations are generally not profitable and what needs to be done to have sustainable operations. – Effective organisational structure and culture required by airlines to be successful. in Bahrain, Jordan Aviation Services, Felix Airways in Yemen, Viva Macau and All Nippon Airlines in Japan. Patrick was born in Ireland and graduated from University College Dublin with a degree in Commerce and an MBA. He has lectured extensively and regularly makes presentations at airline and investor conferences and Universities around the world.